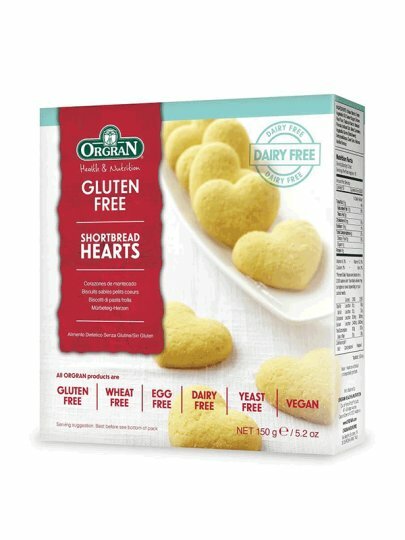 Treat yourself to an excellent chunk of heart shaped vanilla biscuits. They are exceptionally fine and you can give them to the loved ones as well. Corn starch, palm plant oil, sucrose, brown rice flour, tapioca, natural aroma, added iodine, beta carotene, stabilizer: methylcellulose, guar gum, natural vanilla flavor.